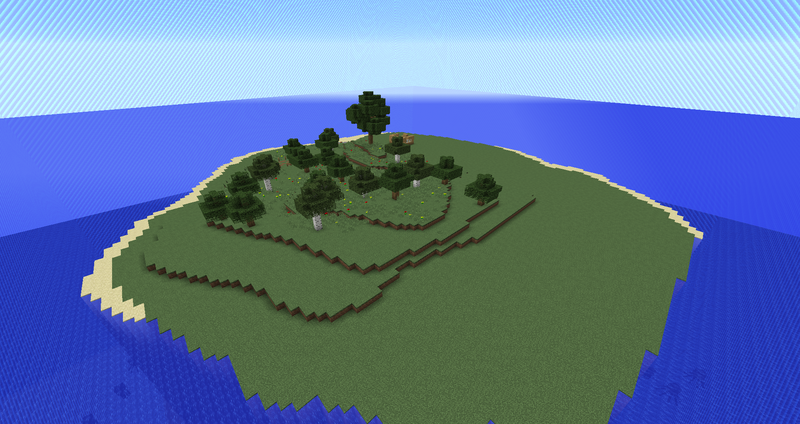 United Islands Survival is a Minecraft map created using four hand-made islands. You find yourself on a shore after a helicopter crash. The black Army helicopter was taking off, prepared to fly to China for an assassination. A dangerous person...yet they never knew how dangerous. Phil Michadel (the player) piloted the helicopter over a string of abandoned islands. Nothing big. However that was a heavy understatement. A light flickered below on one of the islands. What was it? A flare? Suddenly, an alarm comes on in the cockpit, blaring at full sound. A missile was locking on and the light had dissapeared. Phil had managed to see the whole incident just before a huge spark went up in the sky. As always with these stories, the main character survives. Barely. Phil realises he's landed on the largest string of the islands - Elcrona. Now it's up to you to write Phil's story, only equipped with a pocket knife, a backpack and your bare fists. I have drawn a plan of the first 3 islands and I will stick to it. You may suggest any small items to add on the surface and anything - absolutely anything realistic - under it. However for the fourth island it will be (hopefully) around 150x300m plus I haven't planned it yet so go ahead, suggest whatever you want for that island, above or below ground. 27/03/2016 21:05 GMT - I've finally finished the surface of Ilythia! 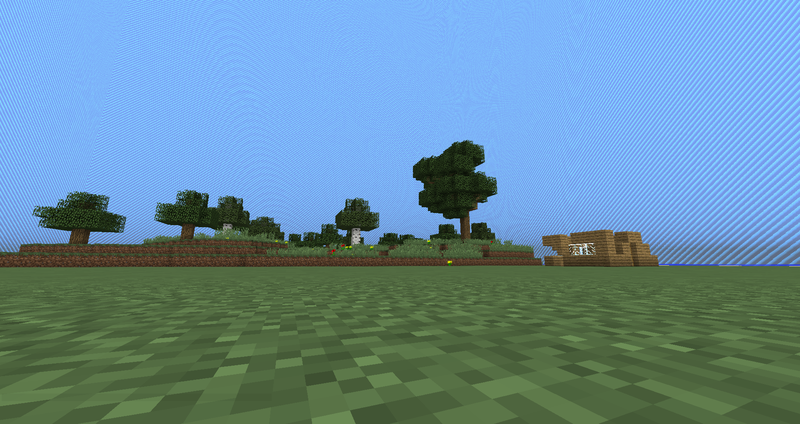 I've added trees and tall grass, plus constructing a ruined village + path. 28/03/2016 11:16 GMT - I've completed a few more structures and some surprises! Keep your eye out! 28/03/2016 11:38 GMT - Download link updated, fixed one of the secrets. I can't explain any more, try to find out for yourself.. The download will be available after I complete the first island. 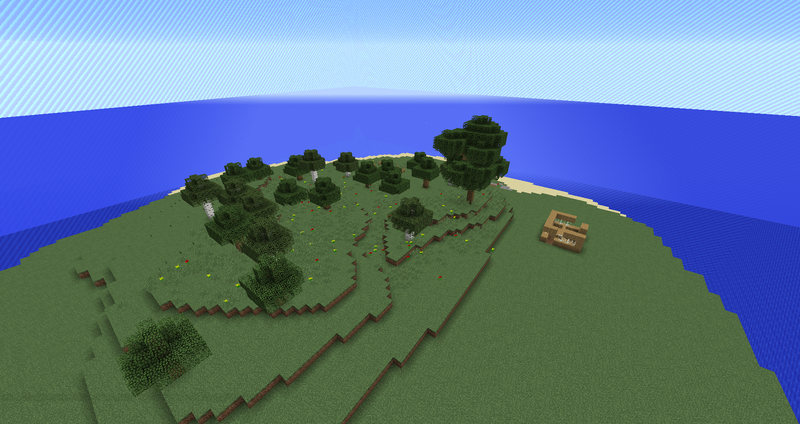 Then each new version will contain a new island or a major fix. Open .zip and drag Island Survival into your .minecraft/saves folder. But seriously, everyone should know how to do that. ", monospace">On a more serious note, I create one command contraptions. I've made jetpacks. I might make missiles. Who knows? Oh, and maybe I'll start working on UIS again.